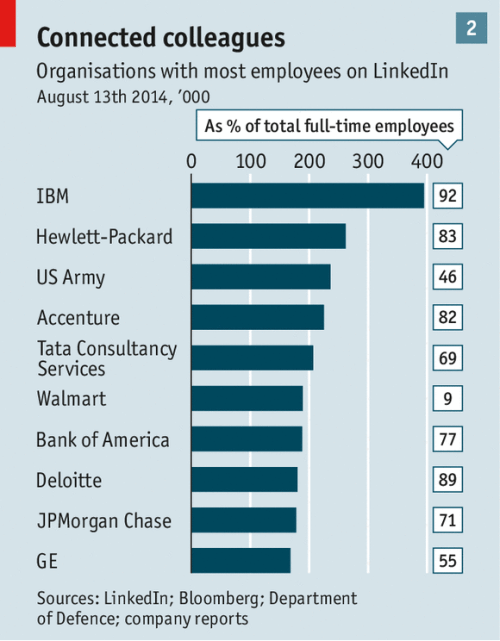 More and more companies and people are using LinkedIn. You might counter: I have never heard of anyone getting a job on LinkedIn. To that I say that people are losing jobs to LinkedIn, in that HR and others are using LinkedIn as a screening process. Good use of LinkedIn might not get you a job, but poor use of LinkedIn might lose you a job. I’d add that lots of recruiters use LinkedIn, more than you think. The better your profile, the better chance you have to get linked in with someone with a new and better job for you. Lastly, LinkedIn is becoming a longer and better version of a resume. Just like you should have an up to date version of that, you should have an up to date version of your career highlights on LinkedIn. This entry was posted in advice, work and tagged advice, ideas, LinkedIn, work. Bookmark the permalink.